TEMECULA, Calif. – (October 19, 2018) – He was named one of the 100 most influential people in the world by Time Magazine and his platform as host of Comedy Central’s “The Daily Show” has made him one of the most popular comedians of his time. And now, Trevor Noah brings his unique and personal brand of humor to the Pechanga Theater for the first time on Friday, Dec. 14. 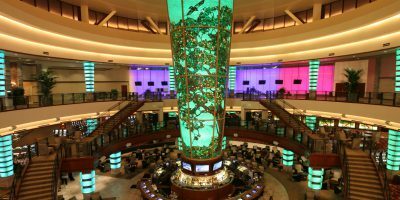 Starting at $79 tickets are now on sale at the Pechanga Box Office by calling (888) 810-8871 or online at Pechanga.com. Trevor Noah is the most successful comedian in Africa and is the host of the Emmy® and Peabody® Award-winning “The Daily Show” on Comedy Central. This past year, “The Daily Show” won a GLAAD award for Outstanding Talk Episode, and received nominations for a Writers Guild Award (Comedy/Variety Series) as well as two NAACP Image Awards, for Outstanding Talk Series and Outstanding Host in a Talk or News/Information Show. 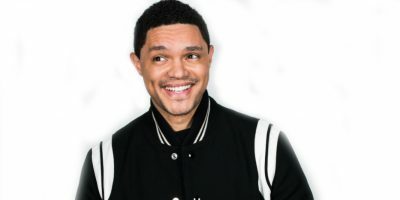 Noah also won Best Host at the 2017 MTV Movie & TV Awards, as well as a 2017 Creative Arts Emmy Award for Outstanding Short Form Variety Series for his hosting role on “The Daily Show – Between The Scenes.” “The Daily Show with Trevor Noah” recently received three 2018 Primetime Emmy nominations, including Outstanding Variety Talk Series, Outstanding Interactive Program and Outstanding Short Form Variety Series. Trevor joined “The Daily Show with Jon Stewart” in 2014 as a contributor. Trevor has written, produced, and starred in seven comedy specials, most recently “Afraid of the Dark” on Netflix. In 2016, Noah debuted his one-hour stand-up special, Trevor Noah: Lost in Translation, on Comedy Central. Noah was the subject of David Paul Meyer’s award-winning documentary film “You Laugh But It’s True” which tells the story of his remarkable career in post-apartheid South Africa. His Showtime comedy special, “Trevor Noah: African American” premiered in 2013. He was nominated for “Personality of the Year” at the 2014 and 2015 MTV Africa Music Awards and won the award in 2015. Trevor’s success has also spanned to sold out shows over five continents. In November 2016, Trevor released his first book “Born a Crime: Stories from a South African Childhood,” which was an instant New York Times bestseller. Additionally, his performance on the Born a Crime audiobook was Audible’s highest rated audiobook of 2016, and has remained one of the top selling titles on Audible since its release. The book also received the Thurber Prize for American Humor and two NAACP Image Awards, one for Outstanding Literary Work by a Debut Author and another for Outstanding Literary Work in the Biography/Auto-Biography category. The audiobook version performed by Trevor is currently available from Audible Studios, and was the #1 most commented-on and #4 most listened to title of 2017. “Born a Crime” won the Audie Award for “Best Male Narrator,” and was also nominated in the “Autobiography/Memoir” and “Best Narration by the Author” categories. To date, “Born a Crime” has sold over 1 million copies across all formats. Noah’s untitled follow-up will be published by Random House and Audible Studios in 2019, and will pick up where “Born a Crime” ends, following Noah’s journey from an aspiring young comedian in reborn South Africa to the cusp of global success. Trevor’s production company, Day Zero Productions, recently partnered with Viacom and already has several projects in development, including the feature film adaptation of Born a Crime starring Academy Award winner Lupita Nyong’o, which is set up at Paramount Players, and a half-hour comedy with Roy Wood Jr. and Aaron McGruder at Comedy Central. 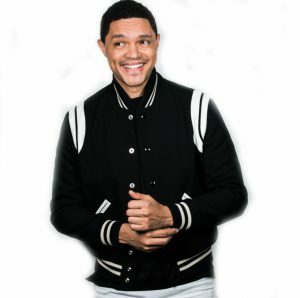 In April 2018, Noah launched The Trevor Noah Foundation, a youth development initiative that enhances youth preparedness for higher education or entry into the workforce. Noah’s vision is a South Africa that advances because each generation builds and must grow beyond its predecessor. Through a partnership with Microsoft, the foundation is able to provide under-resourced schools with the opportunity to use technology as a tool to enhance the learning experience, as well as increase digital literacy beyond the classroom.